The Prowler is an Italian stiletto–inspired knife from Piranha. Its symmetric design is impressive from the handle to the perfectly aligned, single-edged dagger blade. This USA-made automatic knife delivers Piranha's consistent and powerful coil-spring action. A push of the firing button unlocks the Prowler's potential and locks the blade confidently with the plunge lock. The hard-coat anodized 6061-T6 aluminum handle features a teardrop dimple texture along with Piranha's logo. 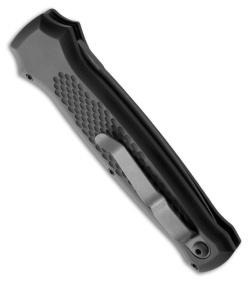 The back side has a machined recess to flush mount the titanium tip-up carry pocket clip. 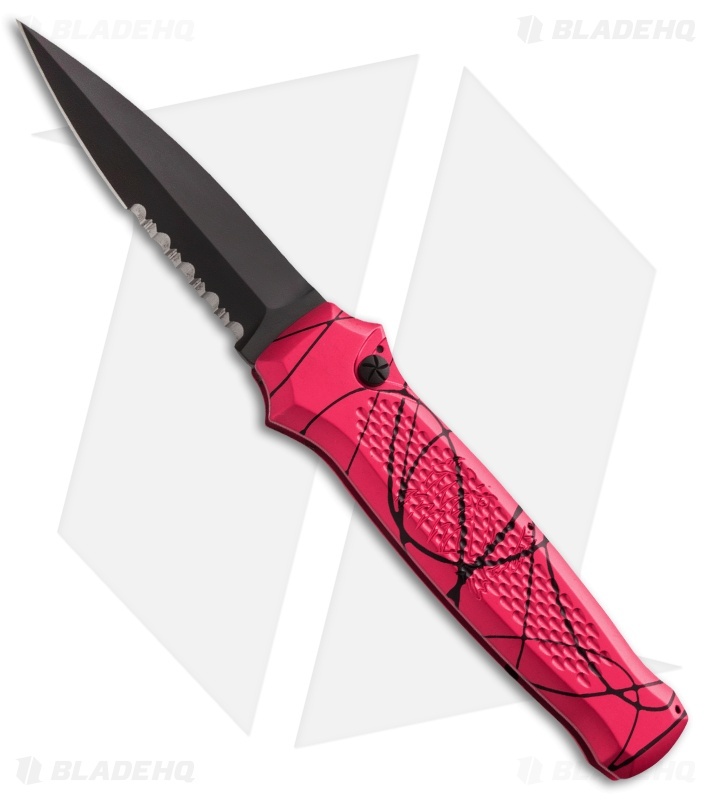 This Piranha Prowler auto has a black finished blade with a partially serrated edge and pink anodized aluminum handle. I got into switchblades cause Jack Bauer had a Microtech Halo in 24. I like this better than the Halo III that I had (and, regrettably, sold). I got the hot pink one. Call me a soy boy if you want to; I have a beautiful switchblade and you don't. Lockup on the blade is zero-play edge to edge (i.e. when cutting) and BARELY noticeable side to side. Dear Piranha company: if you're reading this, do two things: serialize your knives (they're worthy!) and put that dope Piranha chomping fish logo where I can SEE IT instead of over the "grip" part.